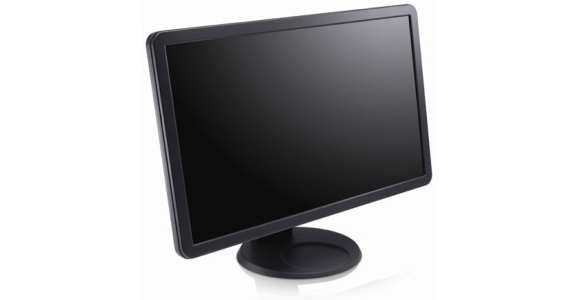 Modern LCD monitors come in a range of screen sizes and differ in their basic specifications. Whilst some of the ‘on paper’ figures are concrete and verifiable (such as resolution and screen size) others (such as response times and contrast ratios) are often misleading and offer a poor comparison of real world performance. One particularly important aspect when considering a monitor’s real world performance attributes is the panel type. These can roughly be split into three main categories; TN (Twisted Nematic) which are highly responsive, VA (Vertical Alignment) which offer the best contrast performance and IPS (In Plane Switching) and PLS (Plane to Line Switching) which offer the most accurate colours and broadest viewing angles. There is often disagreement over the best panel type to use for particular tasks as there is some overlap and individual perspective at play as well. The advantages of shortcomings of the three main panel categories for gaming, movies and photography are considered below. For fast paced gaming a fast response time can be the difference between life and death. The TN panel monitor was traditionally the leader in this field by a long way and has remained a sound choice. Modern IPS and PLS panel monitors have caught up a bit, though, by offering quite effective pixel overdrive (grey to grey acceleration) to help smooth out certain pixel transitions and by bypassing superfluous image processing to lower latency (input lag). There is still an ace up the TN panel monitors sleeve at the moment; support for 120Hz refresh rates which can be found on a narrow but increasing range of monitors. This allows them to display twice the visual information every second and minimises delays between frame changes in games – the end result is smoothness during gaming that leaves any other LCD monitor in the dust. Some users are more tolerant of slower pixel transitions or play more ‘relaxed’ games and would therefore prefer to admire the scenery. In this case IPS and PLS panel monitors can offer some nice benefits such as the ability to produce a broader range of distinct colours in-game and support for higher resolutions. If you are after a 1920 x 1200 then 24” IPS and PLS panels will deliver. For 2560 x 1440 or 2560 x 1600 resolution then you best stick with 27” and 30” varieties for astounding levels of detail during gameplay. VA panel monitors offer some benefits over TN panel monitors when it comes to colour reproduction and tend to offer the strongest contrast – something which can really help during dark scenes. Unfortunately they severely lag behind the others both in terms of pixel responsiveness and generally latency so are not usually a gamer’s first choice. VA panels may not be able to keep up with the frantic high-frame rate action required for some gaming but they fare much better for movies. The common frame rate of around 24fps limits the pace of action and gives these monitors some room to breathe – and to show off their excellent contrast. Because VA panels are so effective at blocking light they are able to produce the deepest blacks and tend to do this throughout the screen – generally offering very low levels of backlight bleed. This means you can enjoy dark movie scenes without anything spoiling the atmosphere. The colour reproduction and viewing angle advantages over TN panels are also evident during movies, but for this reason some people prefer taking things a step further and using IPS panel monitors for this purpose. Modern TN panel monitors, particularly those with glossy screen surfaces, can produce some great vivid and ‘poppy’ colours so it isn’t always a straight forward case of ruling these out for movies. As you will probably have gathered by now it is the IPS and PLS panels that are the kings of colour. For users who are interested in photography or other colour-critical work such as design then nothing can really compare to the colour accuracy of these panels. Whilst the other panel types may be able to represent some accurate colours in the centre of the screen once calibrated this shifts across (and up and down) the screen due to viewing angle limitations. The viewing angles of the ‘kings of colour’ are broad enough to make such an effect negligible. Many users enjoy these benefits for general purpose work, too, and due to the increasingly affordable nature of the technology this becomes a real possibility for many users. For those with a higher budget the increased resolution offered by larger IPS and PLS panels can really help with their work and productivity and the extra expense can be justified. About the author – Adam Simmons runs a website dedicated to computer monitors at pcmonitors.info.